Dual band Cellular-PCS NMO (non-magnetic mount) rooftop hole mount antenna. Permanent mount antenna designed for public safety, police, fire and industrial use. NMO 3-8", 3-4" and trunk mounts sold separately. 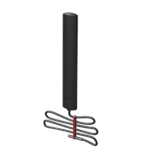 SMA M Low profile, multiple uses: hotel room, interior cell phone antenna for repeater systems. Cell phone antenna which works great on Trucks, Cars, RVs. 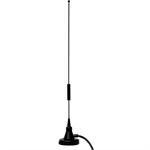 High gain yagi directional cell phone antenna - for 1850MHz-1990MHz PCS only.